Josh Otto reported to me last week. 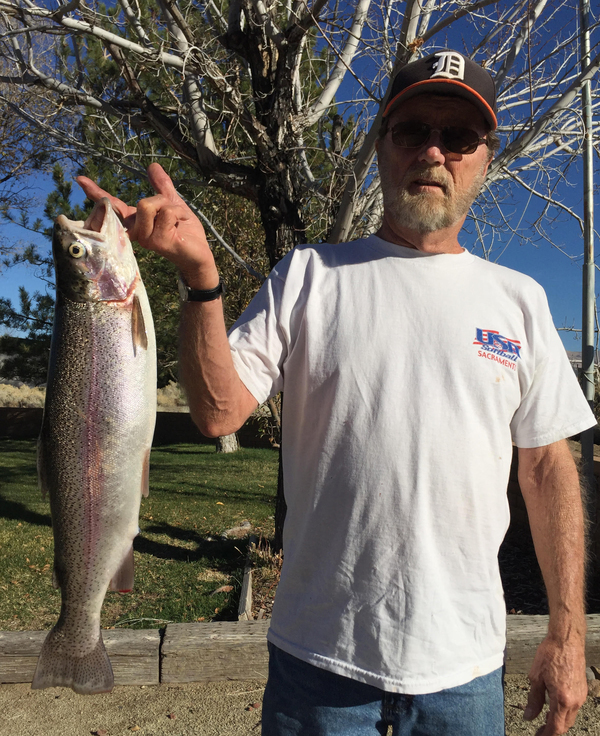 The lake had 12 inches of ice on the lake and the fishing was slow. 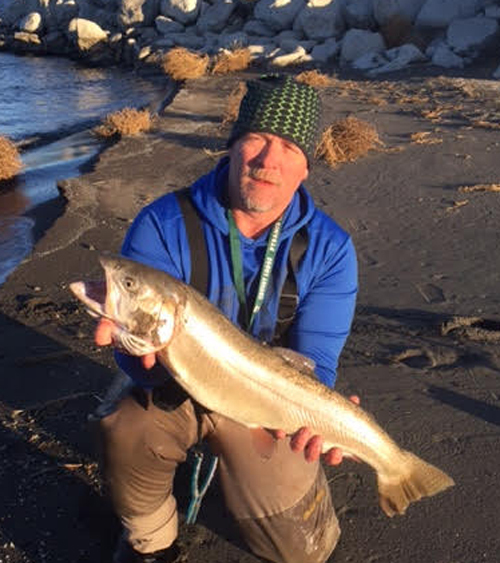 Josh did catch a nice Cutthroat trout 16 inches long, he was jigging a silver Kastmaster lure. 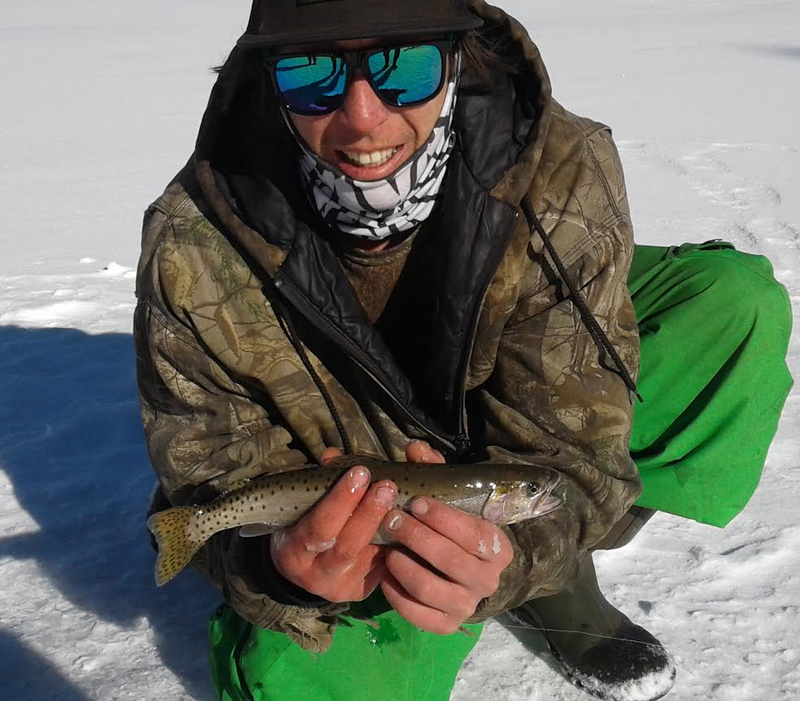 Josh said he caught a few smaller rainbows using a small jig head with tan garlic Powerbait. Kastmaster lures are the most productive lure I have used at this lake. Salmon eggs or night crawlers have also been productive in the past. Will be venturing up to Red lake as well next week.